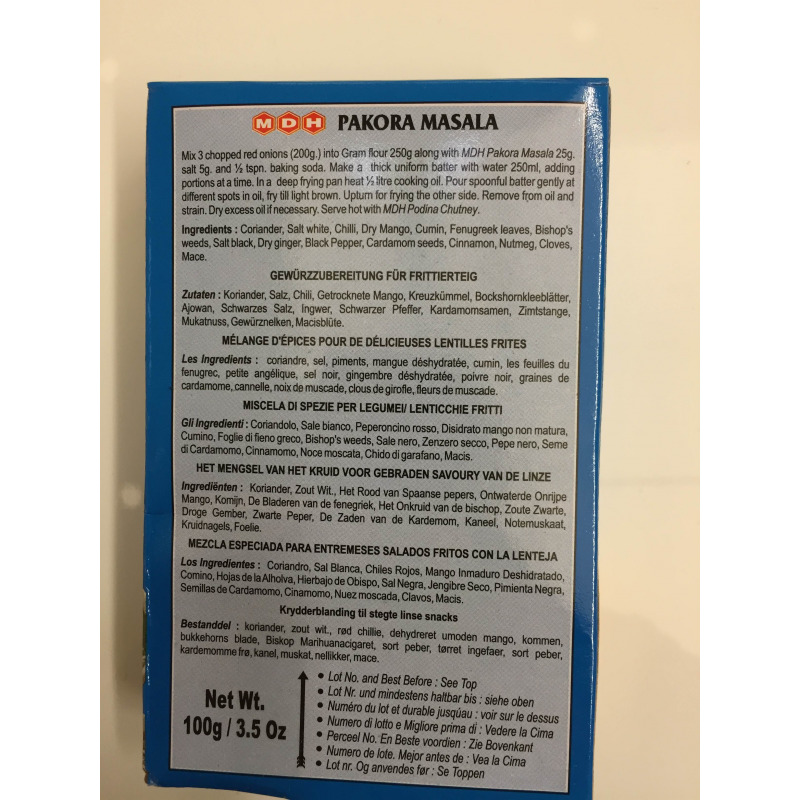 Pakora Masala is a spice blend that is mixed into Besan or gram flour batter to prepare savoury and crunchy vegetable fritters. 1. Mix 3 chopped red onions (200g), gram flour (250g), MDH Pakora Masala (25g), salt (5g), baking soda (1/2 tsp) and water (250ml) together to make a thin uniform batter. 2. In a deep frying pan heat half a litre cooking oil. 3. Pour spoonfuls of the batter gently into the oil to make small shapes and fry until golden brown on all sides. 4. Remove from oil and strain well. Dry excess oil if needed. 5. 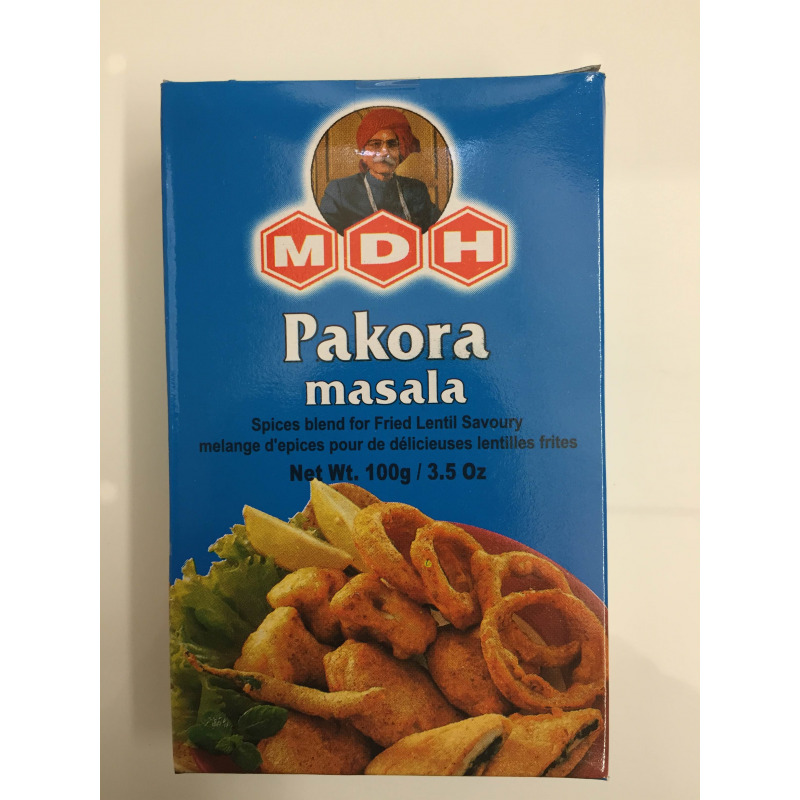 Serve hot with MDH Podina Chutney. Coriander, white salt, chilli, dry mango, cumin, fenugreek leaves, Bishop's weeds, black salt, dry ginger, black pepper, cardamom seeds, cinnamon, nutmeg, cloves, mace.